Hello and welcome to the Safe Canary Nest! 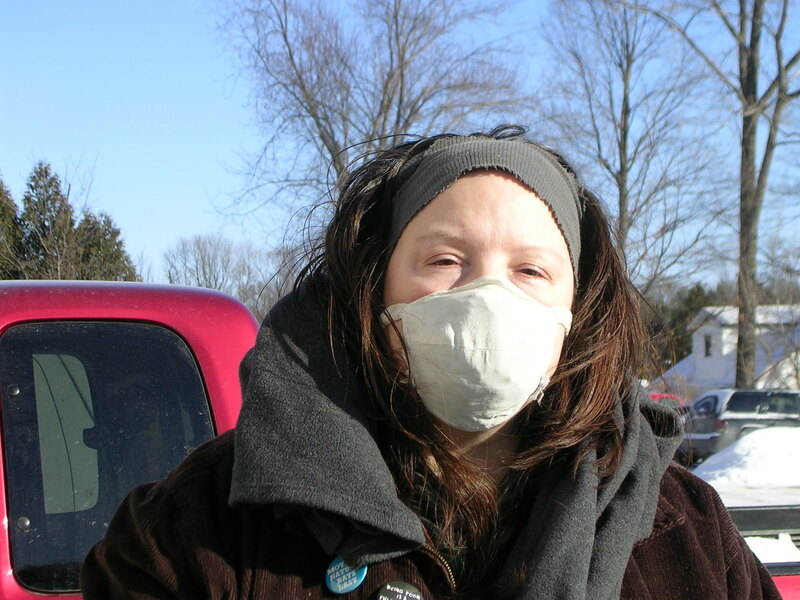 I am called a Canary, a person with Multiple Chemical Sensitivity (MCS). Other names are Chemically Injured, Chemical Intolerance, Environmental Illness, Sick Building Syndrome, TILT and Allergic to the 20th Century. This site assumes you already know what MCS is because you too are a Canary. However, although the site is for Canaries trying to build safe nests, on the Resources page are educational links to sites that define and explain more about MCS. It has MCS related news, help, products, etc. I was diagnosed with MCS in June of 2012 after 16 months of carbon monoxide poisoning, along with methane, natural gas, mold and VOCs due to an old house that the owners did not keep up. There were bricks in the chimney, sending all fumes back into the house. If not for the 200 year old house having broken windows and a basement door that would not stay closed, my mother and I, like my cat, would have died. Instead we got MCS, with mine at “universal reactor” level. I did not give up even when stranded in a car, unable to walk (I also have spastic diplegia cerebral palsy), in 22 degree weather, no heat, no water, same clothes, bear shaking car, candida eating my skin, no phone, no family or friends, no medical help, all social services in Caledonia County Vermont aware of my situation, with Medicaid having agreed I needed home health aides, but no agency helped in the least, for nightmarish 6 weeks. Trust me, I know how discrimated against and abused persons with MCS are on all levels. In my freaked out days searching for safety (something that never ends), I gathered a lot of information. This site is the result of that ongoing quest for sanctuary from petrochemicals. The Resource links page is, I hear, the most comprehensive for MCS and I will try to check them every 6 months so you are not frustrated like I was with dead ends. Most other pages are tips from me and other Canaries I have met. I felt that if I organized what I found for others, less people would be struggling to reinvent wheels. My interjected personal experiences and opinions may offend you or my writing style may turn you off, but please do not let imagined (we have never met) personality clashes keep you from using the site. For more about good MCS manners, please read the section on social skills in Canary community. Why the term Canary? Miners used to keep a canary in the shafts and when the canary died, they knew poisons were in the tunnel and to escape. I am not sure this term works. We might be the ones who warn others, but there is no way for them to leave the mineshaft. Canaries are just warning others of what they possibly will have happen to them if things continue as business as usual. I’m just an example of what others can expect. There are steps you can take to prevent becoming a Canary by avoiding exposures now, but no one lives in a bubble and we need mass social change to protect our health and that of the planet, because MCS teaches us that the two are one and the same. Build your safe nests and organize with others to bring awareness to the problems and teach solutions. As time goes on, more solutions will be found. Our cure, a nontoxic planet, is the cure for everyone else. And we are building it, nest by nest. With all my heart, I hope this website helps you. You are not alone and you are not crazy. It IS this hard. You are NOT failing. There ISN’T a magic secret. Hidden in nests or frantically in flight are millions of Canaries like you. 30% of Americans have chemical sensitivities and 2% are universal reactors like me, living in a bubble. Who knows how many others have yet to find out? So although you may not meet me, I care. And most of the other Canaries care, too. Many do activism and advocacy that is helping you. Many pray for all Canaries to be safe. You may never see our faces but we all understand what you are going through (more than you know). I hope that the compassion we have for you, you have for yourself. Hold yourself in self compassion, especially when the world doesn’t. Trust me, there are people you will never even know who have that compassion for you – like me. May we each be blessed with happiness, good health and safety by Whomever(s) bless(es) us. So Much Gratitude to Rev. Laelia Tawnmaia, Dr. Thauna Abrin, Carol Westinghouse, Betty Perrault, Barb at the Brain Injury Association of Vermont, Keith, Ceredwyn Alexander, Adriana Magana of The Center for Bioregional Living, the St J VT co-op, Dr. Tina D’Amato, Ishana Ingerman, Linda Sepp, Ceredwyn Alexander, Kathleen Haines, Moma Fauna, Raven Kaldera, Paul Marangelo, my mother and all those who helped in the roughest of times.